I have finally made a new design on my nails. I want to share this new design and I hope you will all love it. 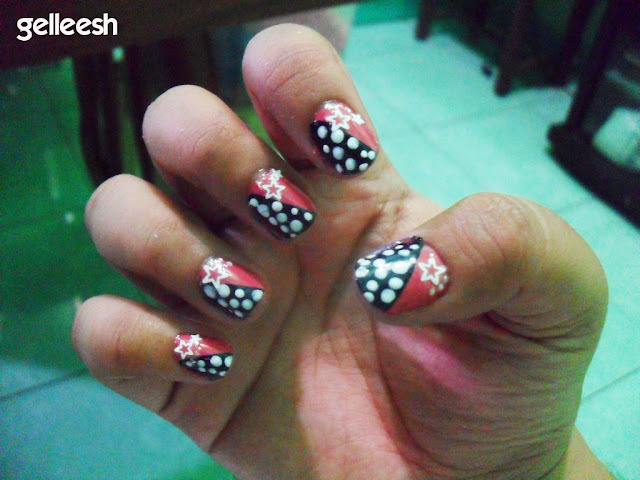 I have said in my last nail of the week, My last nail art design was crappy; so, I made this new one. 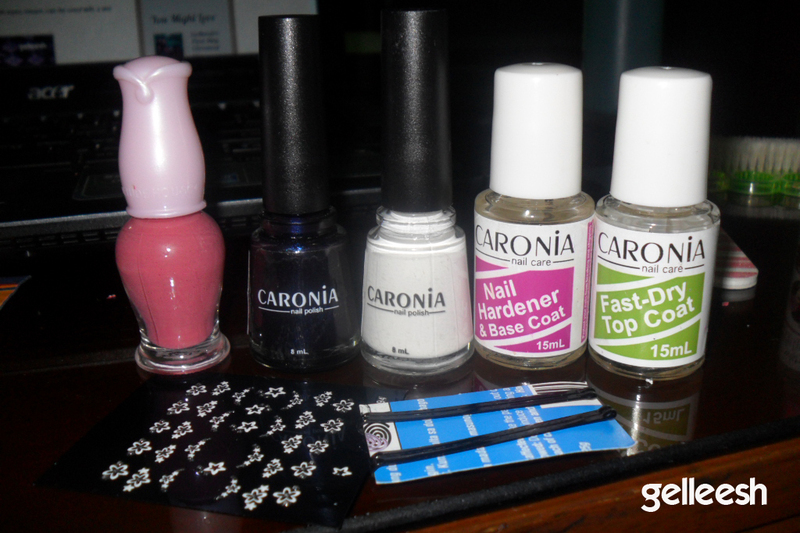 First, I applied the Caronia Nail Hardener & Base Coat. Afterwards, I used the Etude House Pink Nail Polish. I did two coats on this so that the color would be very visible. I colored the slanted half with the Blue Velvet shade from Caronia and then used the tip of the hair pin to put white dots on the Blue Velvet part. I, then, used one sticker per nail at the bottom part of the pink nail polish and topped it all off with the Caronia Fast-Dry Top Coat. This is my favorite nail art I've personally done. I hope you loved it as well. ohh i like it! so cuuteee! cute nails! I want to try but im not really artistic when it comes to my nails! you are talented! I love ur orangey nails. I do design and decorate my nails too. I was an addict that it reached to the point that I purchased a nail foil kit By Rio as an addition to my collection. I also have a post about my nail art deco but not as nice as yours. Hope you can check it out.